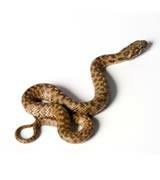 If you find that you have snakes in or around your home, please contact Critter Control® of Orlando. We have professional snake trappers on our staff that can locate and remove snakes from your home. With a warm climate and many wetland areas, Central Florida has a large number of snakes. Many native species of snakes are important for the local ecosystem in the Orlando area. However, snakes can be very dangerous, poisonous or not. Some of the common varieties of snakes native to Florida include Indigo snakes, Water snakes, Coachwhip snakes, Rattlesnakes and Cottonmouths/Moccasins. From a distance slithering across your driveway or yard, all these snakes can look the same. For this reason we recommend that you do not try to handle or remove these snakes on your own. Please contact Critter Control® of Orlando to help remove snakes from you home. While many of these snakes are benign and mostly harmless, poisonous species such as Rattlesnakes and Cottonmouths or Moccasins can be deadly if you are bitten. In addition to native snakes, non-native snakes have taken up residence throughout Florida in record numbers. Many Orlando residents are coming in contact with non-native snake species like Pythons and Boa Constrictors. Many of these snake species were originally brought to Florida as pets, but now live in the wild, and without many natural predators their numbers are increasing. These snakes can grow very large and, like poisonous snakes, pose a serious threat if you come into contact with them. If you see any variety of Python or Boa Constrictor, please contact Critter Control® of Orlando for assistance in trapping snakes around your home or property. Trying to remove snakes from your Orlando home can be very dangerous. Please feel free to call us at 407.295.7194 or fill out a form to schedule your Free Home Inspection today. We even offer a 10% off animal control coupon on your initial service. Our service areas for snake trapping and snake removal in the Orlando area include Orange, Osceola, Seminole, Volusia and Lake County. We service residents of local towns including Sanford, Lake Mary, Orlando, Clermont, Oviedo and Kissimmee.